Below left, Sunshine Tiki and Kalani enjoy Bitter Harbor in the Zen Tiki Lounge. Our newest tropical cocktail with fresh grapefruit and lemon juices along with several rums and bitters. We sported our green for St. Pattys day and sipped more than a few drinks. On the right we cooked up a pulled pork style slider made with jackfruit in a tangy BBQ sauce. This meat like alternative does have a slightly different texture than pulled pork, it is a little softer but not slimy or chewy. Cooked up and on a Kings Hawaiian role this stuff from The Jackfruit Company is a great bar snack that your vegan and meat eating friends will like. 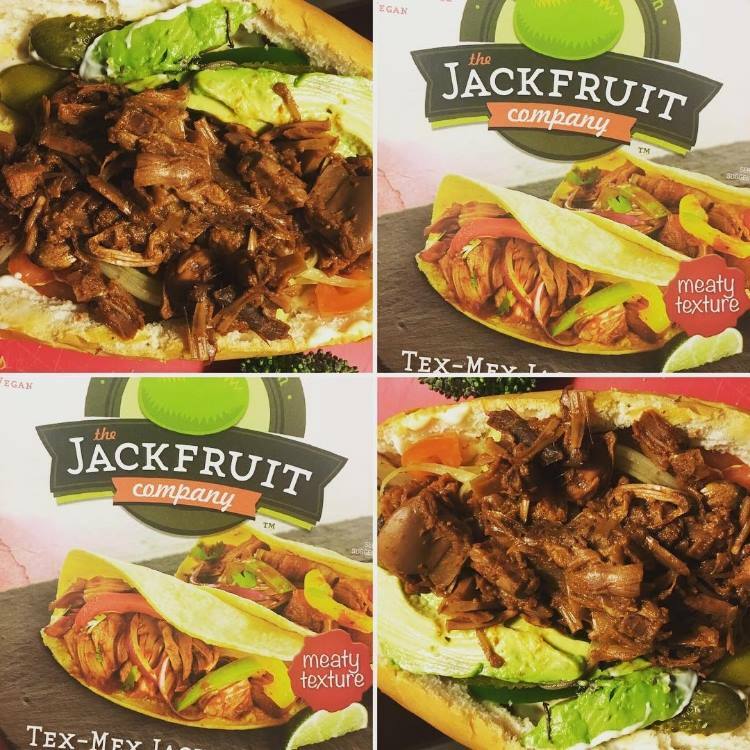 We have tried the BBQ, Tex Mex and Teriyaki versions of this tropical meat substitute. BBQ and Tex Mex seem to be the best flavor and texture combinations. Vegan deliciousness. Join the entire crew from ZTL podcast at Tiki Caliente 10 this May. Hard to believe this event has now been going for a decade. The fun times and room parties may start to blend together in your inebriated mind. So lets do it again. Sunny and warm Palm Springs is begging you to visit and attend the hottest event this May. Also, join our Tiki Caliente Room Crawl page on facebook so you get all the info about the 14 plus rooms and parties on the crawl. And, there are still slots open (as of March 23) if you want to host. to host you do need a room at the Caliente Tropics and a desire to make a cocktail for up to 100 people. Amateurs and pros are welcome. 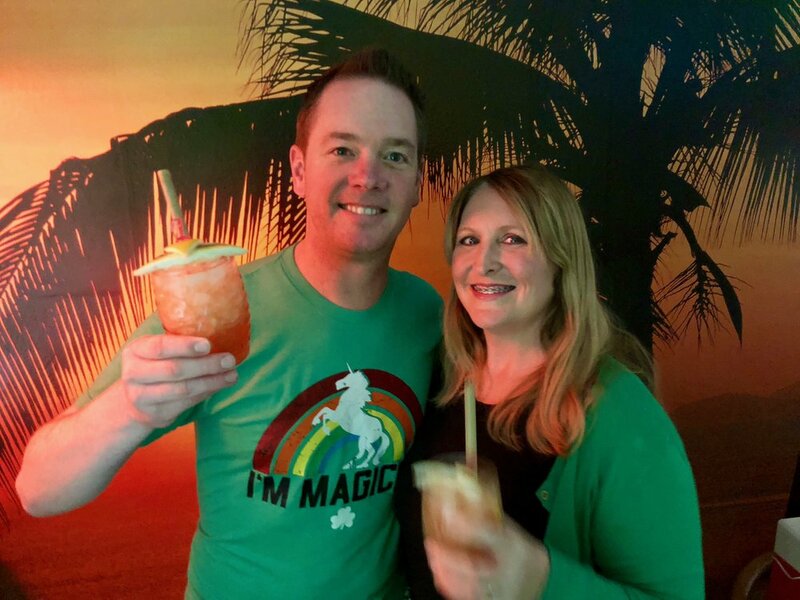 We LOVE Tiki Bar T Shirt Club. Comfy cotton t's for men and women that always fit right. A new tiki bar design each and every month. Subscribe and get them all delivered right to your mailbox or buy just the one you want. We wouldn't wear them if we didn't LOVE them.